The NBA Finals are like summer in Westeros. Sure, I’ll believe winter and the Finals are coming when I see them. The NBA Finals are scheduled to take place some time between June 5 and June 15. JUNE! Between now and then we all celebrate the NFL Draft, Cinco De Mayo, Memorial Day, the Kentucky Derby, and the Indianapolis 500. The Philadelphia Phillies will play 45 games between today and the day we crown an NBA champ (and they’ll probably lose 40 of them). Are the NBA Playoffs fun to watch? Of course. Do they drag and need some tweaks to make them truly great? Of course. Here’s my suggestions for making the playoffs even more fun. I miss Russell Westbrook. I think we all do. And Anthony Davis would be equally missed had the Thunder stolen the final playoff spot from the Pelicans. Yet at the same time, Davis’ team is going to get swept or lose in 5. Westbrook’s would do the same. Over in the East, the Celtics and Nets are a joke and really have no business still playing. There’s more radical ways to blow up the system and ensure the fairest set of playoff teams. Personally, I love Tom Ziller’s proposal, but let’s not go that far. Let’s trim the fat. We’ll go to 12 teams, NFL style. Our top two seeds in each conference get to enjoy a bye. In today’s world, when the rest of the world is finally coming to Greg Popovich’s view of the 82 game season, shouldn’t there be a valuable reward for surviving the regular season slog at the top of the standings? I’d rather ensure the league’s best are healthy and rested for the later rounds than watch them toy with mediocre teams. One of the biggest issues with this year’s Western Conference was the rock-paper-scissors game that resulted in jockeying for seeds. Everyone saw landmines in their potential match-ups and may have tanked a game or two down the stretch to find the right seed. It happens every year, but shouldn’t we try to put a stop to it? The teams with the best records should get to play who they want to, so let’s let them. And we’ll make an event out of it. In the vein of the lottery, every playoff team sends a representative to New York. The highest seed team playing in the first round (if we take my first suggestion, that’s the third seeds, but if we don’t, it’s the top seeds) chooses any opponent ranked lower than them in the conference. You just want the worst team possible? You want a shot at a good team while you’re healthy? Have a team’s number all year? Call them out. And do it right in their face, live in front of the entire world. In today’s world, where The Decision and the draft get huge ratings and Twitter controls the news cycle, that would be must see TV. The Hack-A-Blank strategy is one of the main reasons a few first round games have been a labor to watch. There’s nothing entertaining about watching DeAndre Jordan shoot a gaggle of free throws. There’s probably a hundred solutions better than our current set-up. My personal favorite steals from the college game a bit. In college, a team enters the bonus (shooting one-and-one) on the seventh team foul. They are awarded the double bonus (two shots) beginning with the tenth team foul. In the NBA, players get two fouls shots starting with the opponent’s fifth team foul each (with special rules in the final minutes of each quarter). The problem for me is the lack of a double bonus. Teams (cough the Spurs cough) can foul to their heart’s content without any escalated penalty. The NBA already awards two shots for the regular bonus, so let’s take it up a level. After the eighth team foul of the quarter, on a non-shooting foul, teams can pick who shoots the two free throws. 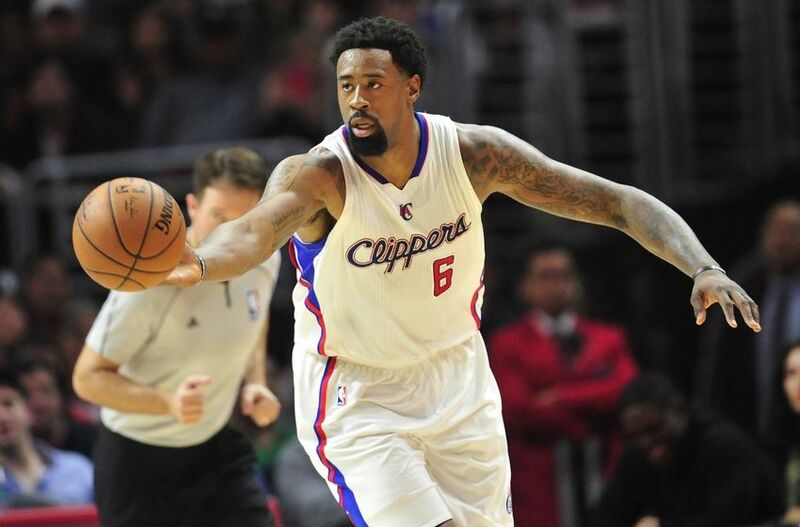 So, sure, if you rake DeAndre Jordan’s arms on a dunk attempt, he still shoots a pair. But grab him while he jogs up court more than a few times and Doc Rivers gets to send JJ Redick to knock down the freebies. As I type this, I gleefully watch the Cavaliers play at the Boston Garden and the Bulls in Milwaukee and I am very pleased. 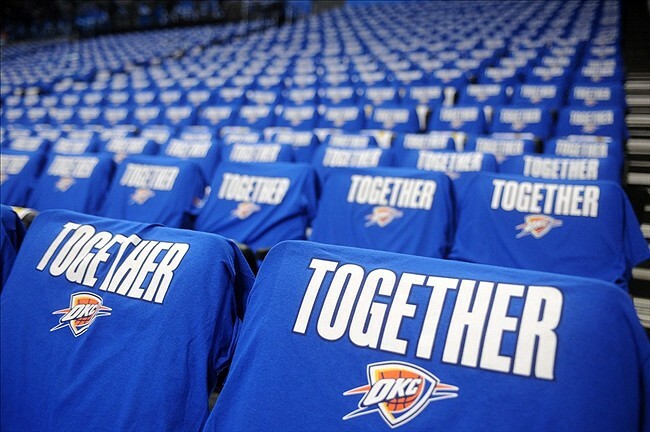 Neither the Celtics nor the Bucks have given in to one of this millennium’s worst trends, the incessant need for NBA Playoff teams to distribute monochromatic tee shirts to their fans. Nothing about that arrangement looks cool. Not the oodles of business dads who pop the shirt over their button downs. Not the middle aged ladies wearing it over their favorite outfit from Ann Taylor Loft. And most of all, not the fake rah-rah atmosphere teams are trying to create by doing so. Celtics fans know to wear green and white to the game. Not surprisingly, they are also the kind of crowd who knows when to stand and cheer or boo or take their volume to another level. The free tee shirts aren’t tricking anyone into thinking the American Airlines arena is suddenly a 20,000 person student section. If you need a giveaway to cheer on your team, I hope your team loses.